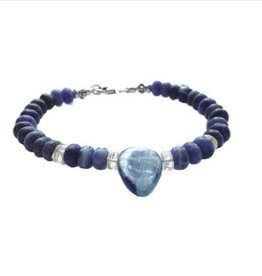 Handmade gemstone bracelets in several blue colours. The sterling silver details are the finishing touch in our jewelry. More about gemstones. The sterling silver details are specially hand made for NJAmsterdam in Bali. 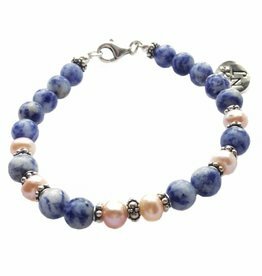 Blue bracelet, a unique combination of sodalite and kyanite together in a handmade bracelet. Sterling silver bracelet with blue chalcedony Namibia.